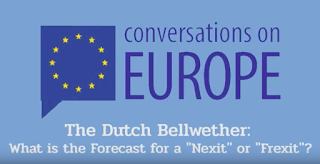 What are the factors behind the rise of populism in Europe and North America? 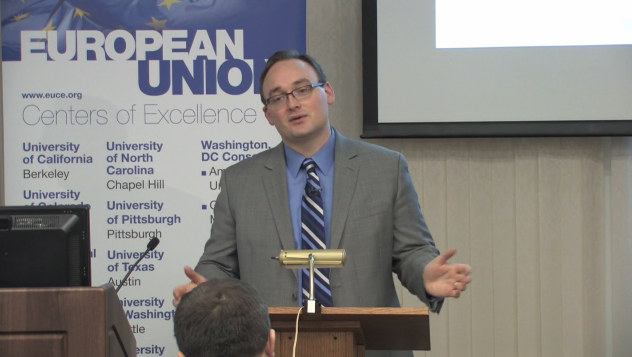 On October 20, as part of the Conversation on Europe video-conference series, the University of Pittsburgh hosted a debate titled “An Uncertain Future: Elections in the US and Europe.” The regional emphasis of this discussion concentrated on Canada, the United States, Spain, Italy, Hungary, France, and the United Kingdom (UK). These countries are some examples of what appears to be a shared phenomenon in Euro-Atlantic politics. The discussion was an outstanding source of food for thoughts. It contextualized the rise of populism in relation to political mechanisms (for example electoral system) permitting historical political minorities to gather stronger consensus and on current problems in Western societies such as immigration, refugees, and financial struggles. At the end of the debate, I wondered about the meaning of the concept of populism. Populism can be understood as a double-faceted term. On the one hand, it is a reaction towards the political establishment, a disapproval of the elite composed of people detaining institutional and economic power. It is an expression – in its most extreme adaptation – of the concept of Democracy, after all. It is surprising how this interpretation of populism is possibly closer to the idea of Democracy than Democracy itself in the modern age. With the exception of referenda, the result of a public vote in modern democratic systems is to delegate power to a restricted group of individuals, a legitimization to rule over the community. The actual government resulting from today’s elections is arguably an oligarchy. Populism opposes this idea to benefit the community. During the debate, Professor Larry LeDuc, from the University of Toronto, pointed out how minority populist parties, once elected at the government can either face a failure in their intents of reforming the system, or become the new establishment. I could not help myself thinking about the recent visit of the Italian Prime Minister Matteo Renzi to the US. In his remarks at the Presidential Dinner, President Obama addressed him as Il Rottamatore—“the Scrapper”—a nickname suggesting his ambition to reform the Italian political system. Yet, Renzi faces considerable criticism at home, where populist movements—such as the Five Star Movement or the Northern League—consider him a member of that establishment they are opposing with such a verve. Speaking from Paris, Jan Rovny, Assistant Professor at Sciences Po, mentioned in the debate how ideology does not appear to be principal vector behind populism, as much as populism itself. Populism is not concentrated to parties and/or groups on the right of the political spectrum. One can think of extremely different stances in the political spectrum still labeled as populist (examples in the US are Bernie Sanders vs Donald Trump). I must recognize how, on the other hand, populism represents the expression of a demagogic approach to politics; it gathers consent where discontent is stronger, acting as a catch-all movement regardless of values, but leveraging on few key ideas shared among supporters. In line with the Italian case, I reflect on the opposition by the Italian Prime Minister against the “establishment” in the EU institutions pushing for looser controls on national budget, how he is incessantly asking for an intervention of the EU on the issue of migration, shifting the complaint from the national to a supranational level, where the electorate and national opposition agree. It is the game of politics, or what Putnam defined in his 1988 book a “two-level game.” It is a dialogue on two different, yet intertwined levels—national and supranational—balancing the results of two negotiation tables to maximize the results. This could still be a healthy form of (modern) democracy, as long as the electorate is adequately represented. However, once detaining power, keeping a promise made during the political campaign is always a difficult task to follow through. The political realities, once at the helm of power, affect the maneuvering and implementation of ‘radical’ policies promised on the campaign trail. The risk of failure is high, and few goals are not the foundation of a political agenda (let’s think about what happened to UKIP in the Brexit vote’s aftermath). Populism itself—as an expression of Democracy—could play a positive role in the institutional landscape. The voters, however, must evaluate very carefully the promises they receive, as the expectation-reality gap tends to be undermined. The video roundtable can be viewed below or on Youtube. This article by Salvatore de Sando was originally published on the website for the Student Life and Culture Archives at the University of Illinois at Urbana Champaign on October 25, 2016. It has been republished here with permission. 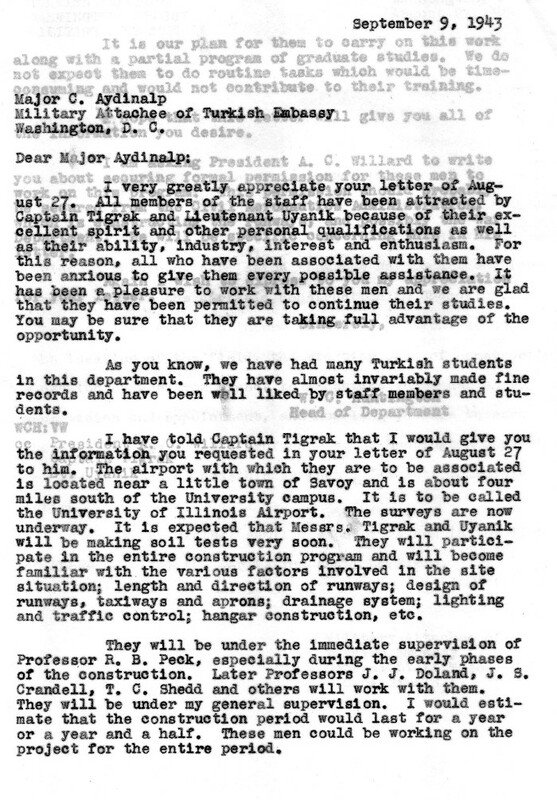 Since, at least 1920, Turkish students have been attending the University of Illinois. Turkish Illini have included accountants, anthropologists, architects, business administrators, chemists, civil engineers, computer scientists, economists, educational researchers, electrical and computer engineers, food scientists, materials scientists, mathematicians, mechanical engineers, musicians, political scientists, soldiers, swimmers, and teachers. 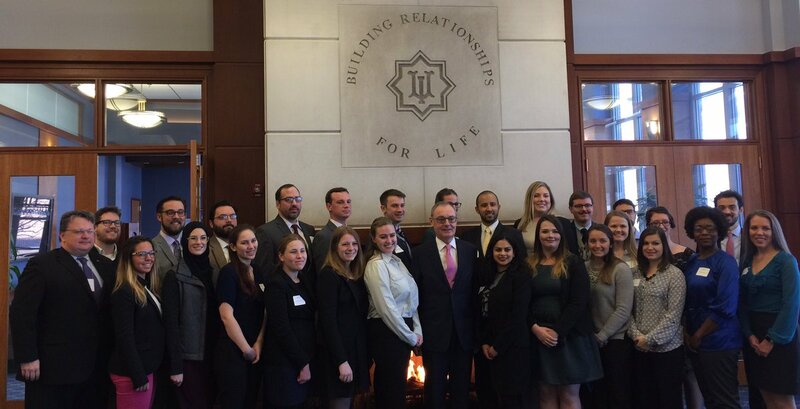 Read on to learn more about early Turkish Illini! As the independence war loomed, Turkish novelist Halide Edib and her spouse, the Turkish politician, writer, historian, and medical doctor Adnan Adıvar, decided to send their sons abroad to study and to avoid fighting. The couple knew University of Illinois Ottoman History Professor Albert Howe Lybyer, through his previous work as an instructor in Constantinople (now Istanbul) at Robert College and during his recent work on the 1919 Inter-Allied Commission on Mandates in Turkey (also known as the King-Crane Commission). The older brother Ali Ayet enrolled in electrical engineering and the younger brother Hassan Hikmet enrolled in University High School. Ali lived with Mr. Zia and Hassan lived with Dr. Lybyer. Like Mr. Zia, Ali and Hassan came to the University of Illinois to begin their studies but they did not complete degrees. Their coursework was not the only challenge ahead of them. In 1921, as the Scarlet Fever passed around campus, Hassan became ill, resulting in the Lybyer home, Yussuf, and Ali being placed under quarantine for weeks. To be a sick student is no joy and it is worse in a foreign country with little contact from your family. Even worse, it was the 1920s and communication from Turkey to the United States was limited. It was the next Fall, when it was Daily Illini newsworthy to report when the Zeki brothers received a letter from their famous mother and hand-delivered from the Secretary of the American Chamber of Commerce in Constantinople (now Istanbul) Lawrence S. Moore. After their illness had passed, later, the Zekis gave interviews about Turkey too. They were never completely alone either, as faculty and other University community members did support these students throughout the year–including holiday breaks. For winter break 1922, for example, the Zekis joined Bulgarian students at Professor Lybyer’s home for a holiday dinner. What did they do for fun? For fun, Ali was reported to be a competitive ping-pong player at the YMCA. Unfortunately, it was not until the summer of 1923, when the Zekis visited their parents again. Upon their return, during the next Fall, Hassan began courses at the University–in commerce–but both brothers left in 1925 to continue their studies. While early Turkish students’ educations were funded privately, many post Independence War students were funded by government scholarships or graduate employment. During the 1930s, there were at least two students on campus: Djelal Eddin Moustafa (B.S. 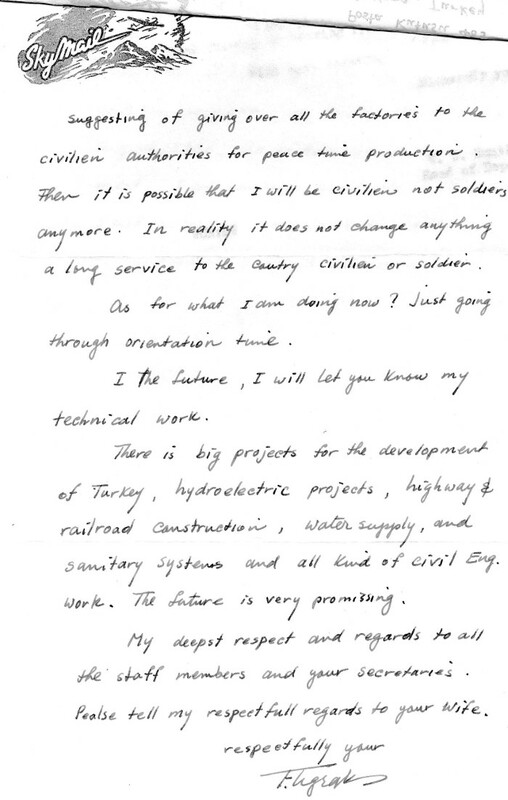 Civil Engineering 1932) and Naci İskender (B.S. Education 1937). 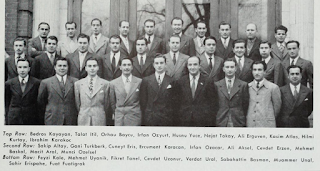 During the early 1940s, the Civil and Environmental Engineering Department accepted a group of Turkish military officers to continue advanced studies in engineering. The first students included Captain Mehmet Fuat Tigrak (B.S. 1942, M.S. 1943, PhD 1945), and Lieutenant Mehmet Ensar Uyanik (B.S. 1942, M.S. 1943, PhD 1945). 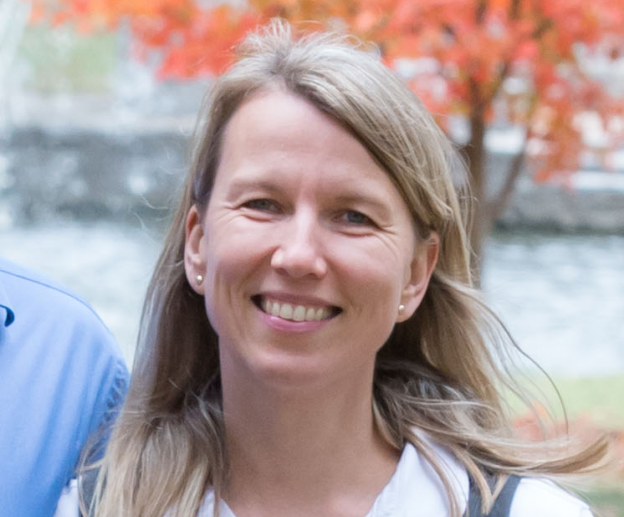 Initially, both officers came to complete bachelors and masters degrees; however, with the support of Department Head and Professor Whitney Clark Huntington, they completed PhDs too. In fact, under the supervision of Professor Ralph Peck, both men were involved with the development and construction of the University of Illinois – Willard Airport. 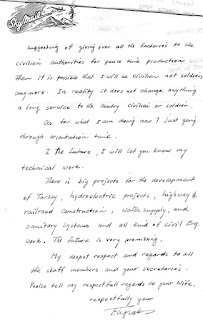 Future Turkish civil engineers would continue to attend the University in large numbers, and they even comprised the majority of the Turkish student population until the 1960s. As the Turkish student population grew, there were increased opportunities for Turkish students to help other Turkish students as well as to share Turkish cultures with the University community. 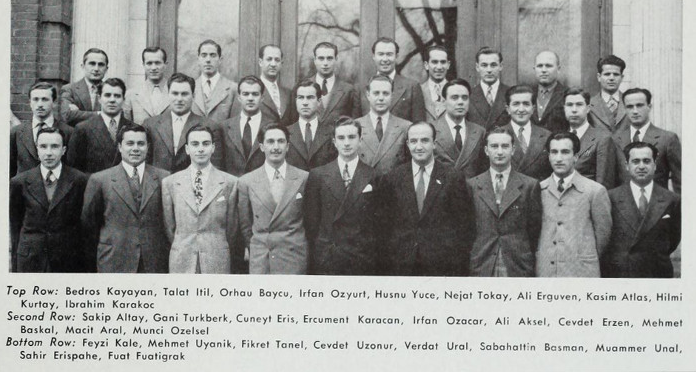 Since at least 1944, Turkish students formed at least two student organizations at the University. 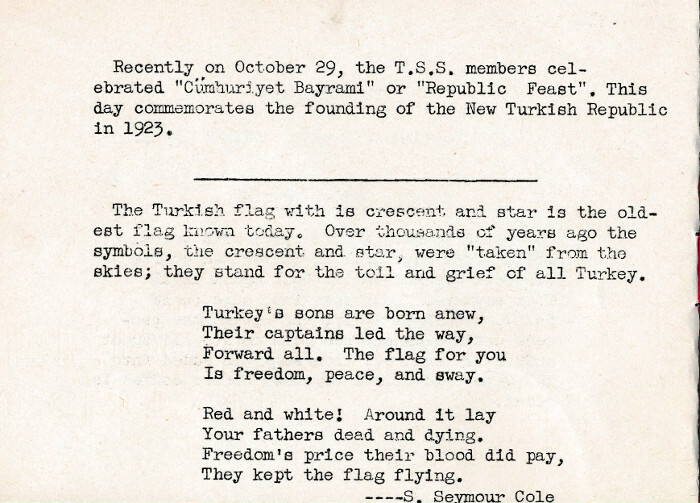 From 1944 to 1949, the Turkish Student Society (TSS) was the first registered student organization (RSO) for Turkish students. 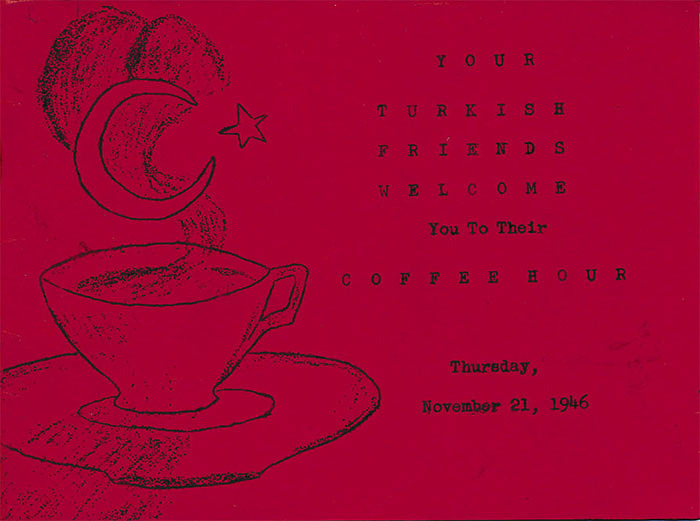 Through the YMCA‘s international programs, the TSS participated in annual Turkish Coffee nights. Through the Cosmopolitan Club, TSS members found opportunities to exchange cultural knowledge with other students and community members. 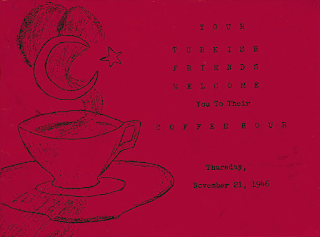 Turkish coffee nights and Turkish dinners can be found in the the Daily Illini. 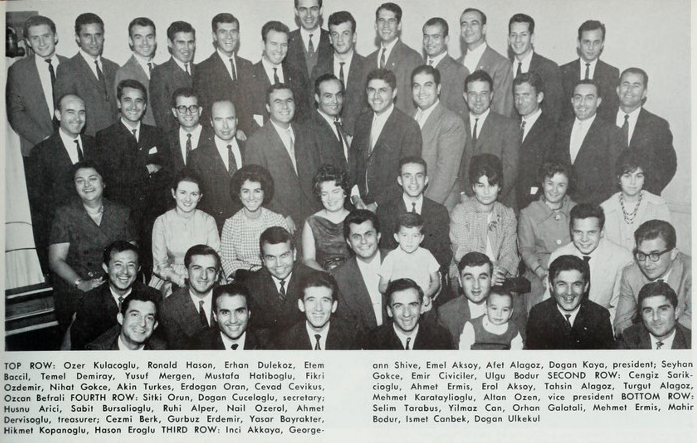 Today, since 1959, the Turkish Student Association (TSA) continues the work of their predecessors, including mentoring and supporting new students, while organizing cultural events for members and the University community. 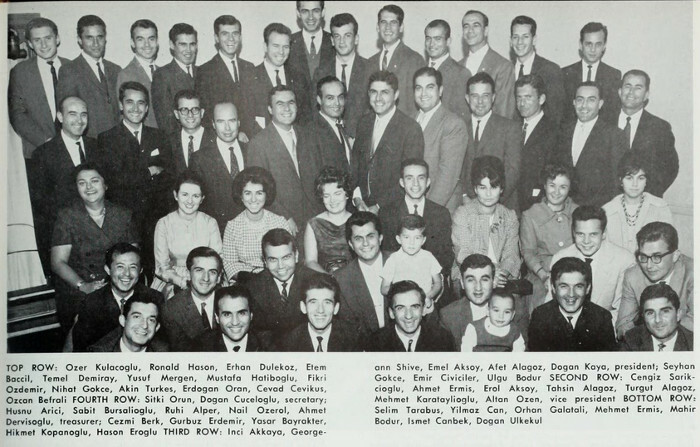 By the 1950s, the first Turkish women arrived as students, thus making the TSA a co-ed student organization from its inception. 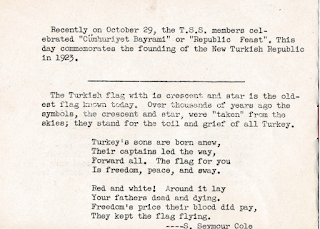 With nearly a century of Turkish students on campus, the longest, Turkish, student-run campus event must be the annual Cumhuriyet Bayramı (Republic Day) which celebrates the establishment of the Republic of Turkey on October 29, 1923. 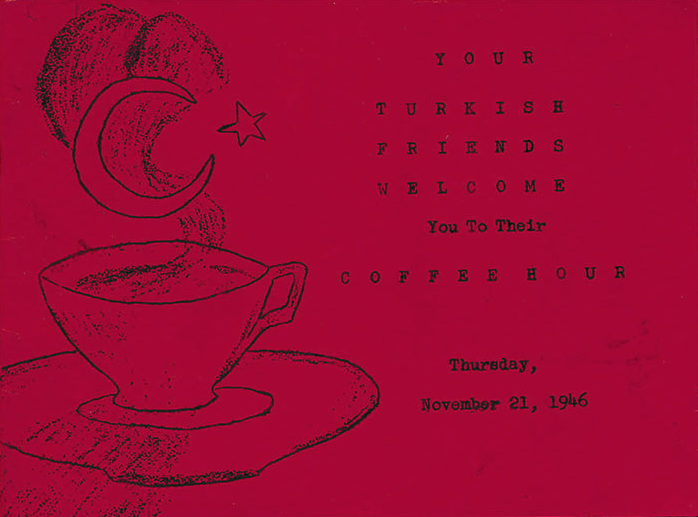 As the Turkish Student Society Coffee Hour booklet suggests below, this annual dinner ball may have been celebrated on campus for almost the entire history of the Turkish Republic. Are you a Turkish Illini? Do you know someone who is? We’d like to hear from you! Please send us a message or leave a comment below. We want to include you and your story, as we celebrate the first 150 years of the University of Illinois. “Turkish Student Made Photography Assistant”, Daily Illini, February 9, 1921, page 1. “Yussuf Zia to Speak”, Daily Illini, April 8, 1921, page 1. Also see: “Zia Relates Experiences as Turkish Army Officer”, Daily Illini, April 9, 1921. The stories were part of a larger student club event at the Union Building, including Chinese, Indian, Japanese, and Filipino students. “Japanese Wedding to Mark Program in Oriental Bazaar”, Daily Illini, January 5, 1922, page 8. The Wisconsin Engineer, Volume 30, Number 5, February 1926, page 168. “Mother To Sick Students Arrives As Envoy Of Turkish Government”, Daily Illini, May 17, 1921, page 8. Of course, Mr. Adıvar was their step-father; the brothers’ biological father was the Ottoman mathematician, physicist, and astronomer Salih Zeki. American Charles C. Crane may have financed their education, says Mr. Normal E. Saul in his recent book The Life and Times of Charles C. Crane, 1858-1939. Years later, the DI reported that Ali was enrolled in the University of London, Hassan had completed his Bachelors at Cornell and he enrolled in Columbia University for a Masters program. Please see: “Mother of Illini Students to Talk for Native Land” by C. R. Frederick, Daily Illini, August 9, 1928, page 2. 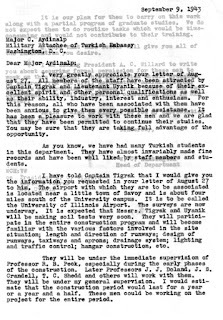 “Turkish Students Receive Tidings from Homeland”, Daily Illini, January 21, 1922, page 8. Ali shared a second-hand account of a friend whose home was looted during fighting in Smyrna (Izmir). 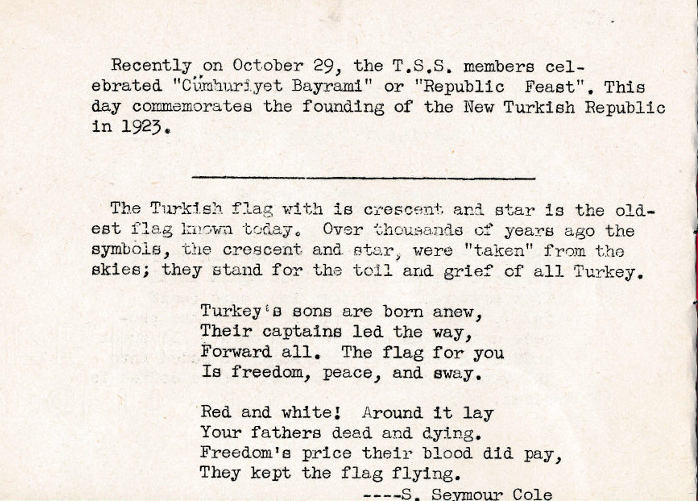 “Turkish Student Goes Here from Far Golden Horn”, Daily Illini, September 27, 1922, page 7. For an account of a University faculty member’s childhood in Smyrna (Izmir), please see: Record Series 15/3/20 “George C. McVittie Papers“. Ali also spoke at a Rotary International anniversary event. Please see: “Foreign Students Assist Rotary in International”, Daily Illini, February 19, 1924, page 1. “Foreign Students to Spend Holidays with Faculty, Townsmen and Memories”, Daily Illini, December 23, 1922, page 6. He took second place, after winning 21 of 30 games in a spring tournament. “Ransdell Seizes Cup After Month’s Effort at Ping Pong Tourney”, Daily Illini, March 15, 1923, page 6. “Zeki Brothers to Visit Parents in Stamboul”, Daily Illini, April 17, 1923, page 2 and “Zeki Brothers Return from Visiting their Mother”, Daily Illini, September 19, 1923, page 2. Record of Proceedings of the Board of Trustee of the Ohio State University, Columbus, July 1, 1933 to June 30, 1934, page 135. Mr. Iskender may have been a mathematics book co-author too. 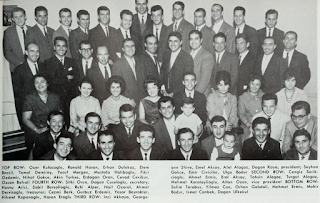 Also see this Ankara Kolej Class of 1955 reunion webpage for a later photograph of Mr. Iskender. “Try, Try Again, Is Iskender’s Motto; He Thinks Ice Skating is a Wonderfully Fine Sport”, Daily Illini, November 13, 1934, page 7. Record Series 11/5/1, Box 8, Folder “Turkish Students”. 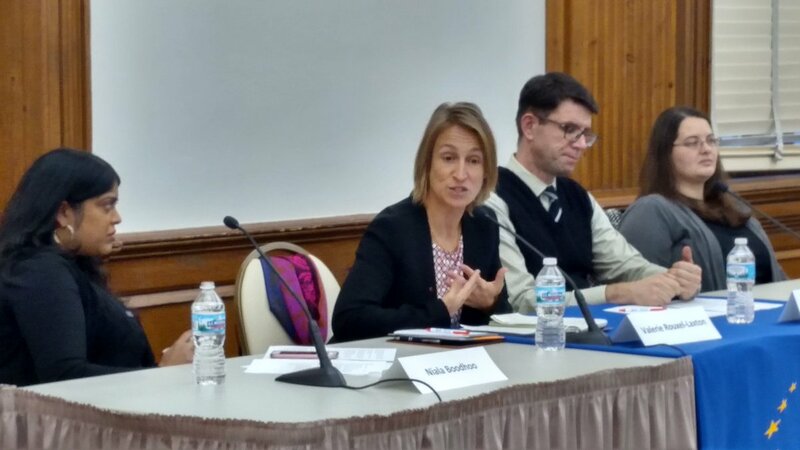 The French Center of Excellence and the European Union Center at the University of Illinois invited three fantastic speakers for a roundtable discussion on freedom of speech in France and beyond. The roundtable included famous filmmaker and activist Rokhaya Diallo, Director of the School of Languages, Cultures and Linguistics Jean-Philippe Mathy, and Christian Lequesne of the Science Politique-Centre de Recherches Internationales. All spoke eloquently and at length about freedom of speech in France, mentioning the recent terrorist’s attacks as the beginning of a new dialogue and the ongoing (and very controversial) ‘state of emergency’ throughout France. Jean-Philippe Mathy and Christian Lequesne also dived into the legality of laws surrounding freedom of speech. Christian Lequesne was quick to point out that criminalization of speech in France has always been hypocritical – noting that while denying the Holocaust is illegal in France, one could openly deny the Armenian Genocide and not be committing a crime. Jean-Philippe mentioned that governments imbed journalists with military instead of letting them roam as a means of censorship, or as he calls it, “damage control”. French Journalist, Ms. Diallo, firmly believes in allowing people to be held responsible for their words, but also that preventing people from speaking worsens the problems. 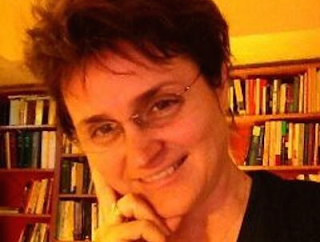 She believes the alt-right groups which are typically accused of hate speech do well online because they are barred from traditional media sources. Christian Lequesne believes the media can in some circumstances incite terrorism, and that some people (the ‘fragile minded’) can become self-radicalized via social media. Perhaps the solution is to ensure that if a government chooses the stricter route as France does, to follow and enforce the law equally instead of piece meal as they do now? When the law only censors minorities, the government’s legitimacy to enforce the law decreases, and makes issues worse. It is an interesting topic, and we are probably left with more questions than answers. The censorship of citizens in France and the EU, through the state of emergency, will remain a question, and possibly a point of contention. I realize the implications of these policies as they relate to relations with other countries outside the EU. 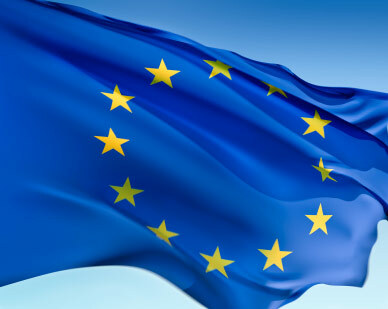 If EU citizens can be censored, what prevents other countries from doing the same or going even further and banning free speech?